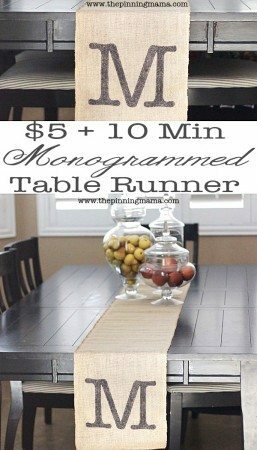 I don’t know about you, but I think that burlap crafts can easily give your home a fun and relaxed holiday feel. From the time I made my first burlap wreath, I was hooked on the material. 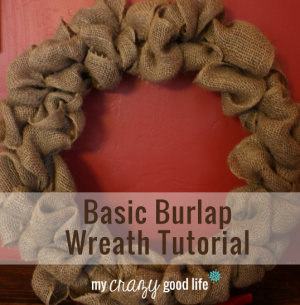 Here are some of my favorite burlap wreath crafts, as well as a few tips and tricks for working with burlap. 1. If you dislike the smell and stiffness of new burlap, read these tips on washing, ironing and cutting burlap to make it easier to work with. 2. Learn how to print on burlap with this simple tutorial. 3. Add a little color to a strip of burlap for decorating with this tutorial on how to spray paint burlap. 4. Read this tutorial on how to make perfect burlap bows. You’ll be able to make beautiful bows for wreaths, gifts and more! 5. Having trouble keeping your burlap intact? Read these tips on how to keep burlap from unraveling. 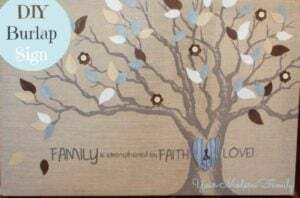 I love crafting with burlap! What a great list of ideas and tips for working with this rustic fabric. Thank you so much for including our DIY Burlap Wreath with accent ribbons. We’re honored and will be pinning and sharing this! 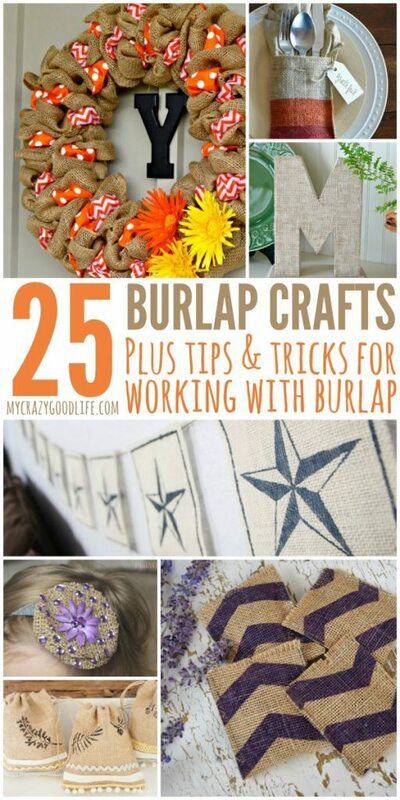 Thanks so much for featuring my Nautical Star Burlap Banner, Becca! Honored to be included in this inspirational round-up. Off to pin this gem!